Genius Move By Jon Jones.. Discussion in 'The Lightweights' started by SuperBadAzz, Jun 2, 2014. Think about it... This is a smart move for Jon. 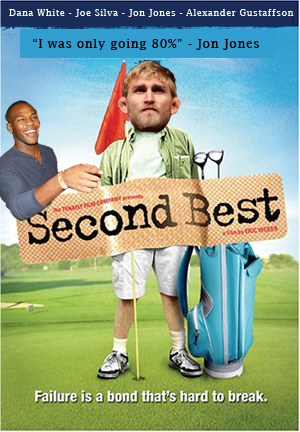 Yes, Gustafsson deserves the rematch & maybe Jon doesn't want it. But asking for the Cormier fight makes it look less like he's ducking Gus & more like he wants to fight DC. I think Jon knows that sooner or later he's going to have to fight Daniel, & it's going to be a tough fight for him. Better to catch him now, with his little experience against guys that can match up with him. The more fights Cormier has under his belt at LHW the more dangerous he becomes. Why not go ahead & try him now? For Gustafsson, it is the opposite. Gus has already shown he matches up roughly with Jones. So what is the smartest way for Jon to do to avoid fighting him? Call out the next highest guy. The results of that are a) Gus waits out Jones/Cormier & has to fight after a long layoff. Or b) Gus fights another top 5 LHW. Maybe Gus matches up well with Bones, but is he a legit 2nd best 205er? Anyways IMO, though this may have duck written all over it, it may be his wisest move.. Even though Manuwa is a good fighter, how does Gus deserve a rematch after not even racking up a top 10 win? But asking for the Cormier fight makes it look less like he's ducking Gus & more like he wants to fight DC. I think Jones is actually just very unhappy about having the gus 2 fight announced and talked about in the public without him signing up for it and hes just trying to be stubborn at this point. So it looks less like he is ducking, yet still has duck written all over it. His fans do not think he is ducking. They think he is sticking it to the man. A large fraction of everyone else thinks he is ducking to one extent or another. TS, I couldn't disagree more. Because he was the only one that gave Jones trouble. Saying you want to fight Cormier no more than a week after news was reported that he probably needs surgery is....well it's not wise at all. He deserved a damn rematch right away, just like shogun and Hendricks did as well. Jones arguably won the fight (I had Gus winning the first 3). There should have been an immediate rematch to clear up who was the better fighter. 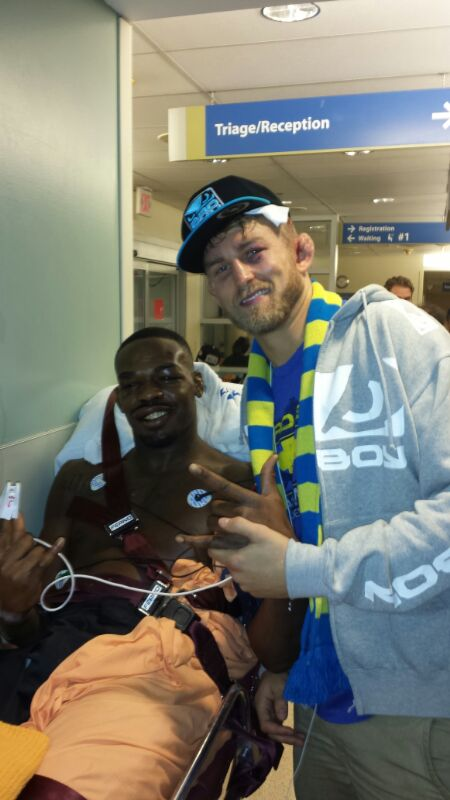 Instead Jones asked for a layoff and asked Teixeira to fight Gustafsson Rashad, Phil Davis, Daniel Cormier etc. He then said Teixeira didn't deserve the title shot after beating top 10 Ryan Bader. Then after accepting the fight he delayed the fight for another month or two. Now he wants to fight DC who's injured ATM? ..... Jonny Jonny Jonny and to think I liked him so much I named my son Jon, looking back on it I wouldn't have done that. 1 Year 7.8k posts, geezus don't you have a damn life? I know who Manuwa is, I've watched his fights, and I watched his fight with Gustafsson. He still isn't a top 10 fighter, even though he has a lot of potential. jones is somewhere thinking.... "if DC's knee might require surgery, I'll fight him right now then". Well Manuwa might not be top 10 OVERALL as a fighter, but he is in the top 5 when it comes to stand up, which happens to be what Gustaffson used to secure the win. Showing that Gustaffson is getting more and more dangerous on the stand up. Which is where the fight will happen against Jones. And Gustaffson arguably beat Jon, that alone grants a rematch in most peoples eyes. I mean, it shouldn't technically, but they've been doing it with every fighters, why not Gustaffson? Who's the 10 that could beat him? I don't have a problem with it, man. Sherdog is just going a little haywire over this. Not long ago, Sherdog was saying that Jones is ducking DC. You're the wisest poster and that's not sarcasm. It's 100% a duck & if I'm honest I believe he beats Cormier & will beat Gus again. I think his camp & potentially Bones feel that they have more to gain by delaying the Gus fight. If I was to guess, I think they would believe that every day Bones boxing & stand-up improves which outweighs any improvements to Gustaffson's wrestling.